A 24 hour Locksmith service specialising in replacement door locks & repair. Hampshire Locksmith provides expert door lock installation and door lock repair on a 24-hour basis. With extensive experience working with high-security door locks, we can cater for your needs quickly and effectively. We offer free no obligation quotes and advice, helping you find the most suitable door lock for your home or business. Our door lock and repair service is available in Southampton, Eastleigh, Portsmouth, Hayling Island, Gosport, Chichester, Emsworth, Petersfield and the surrounding towns in Hampshire. We carry a large stock of door locks with 90% of jobs being completed in just one visit. Hampshire Locksmith is also a member of Checkatrade and has an average score of more than 9. For your complete peace of mind, all locks fitted meet the British Standard accreditation as well as being insurance approved for lasting security. uPVC doors often need adjusting in the first couple of years due to the alignment going out of place. This makes the door lock difficult to operate which can break the gearbox. At Hampshire Locksmith, we provide quick door lock repair, by resetting the lock and making it much easier to operate. This can be particularly beneficial for the elderly who can find accessibility difficult. We always use reliable, high-security locks and refuse to fit certain locks which may be cheaper but have a high failure rate. We only fit the very best. 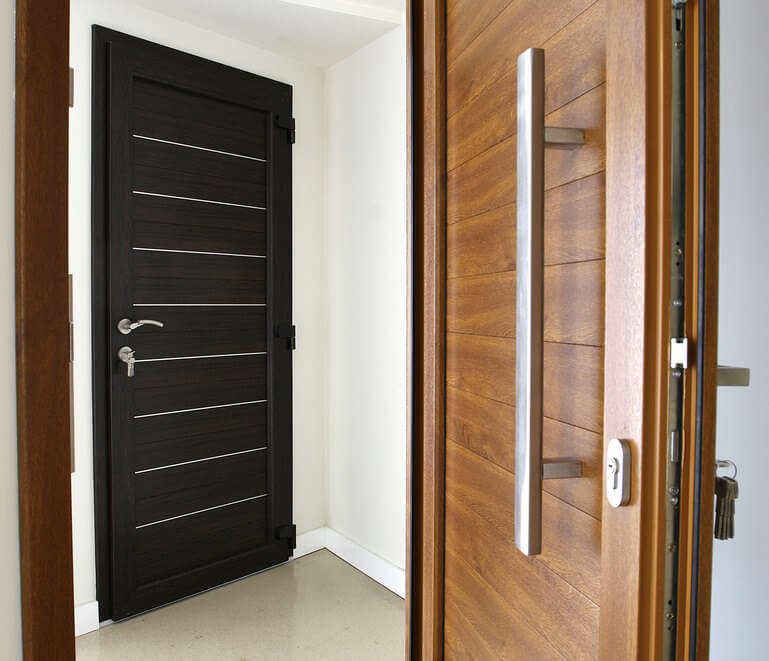 Wooden doors often get swollen in the Winter months and sometimes require the lock to be adjusted. 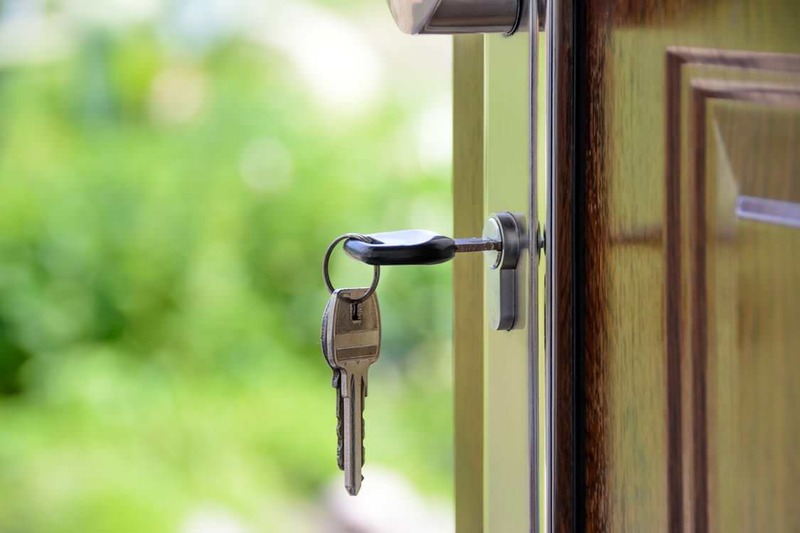 Our reliable team of local locksmiths in Hampshire can provide a prompt and effective lock repair service for either wooden or uPVC door, securing your home with a quality leading lock. At Hampshire Locksmith, we can repair all types of door locks and pride ourselves on our rapid response and will turn up and do an assessment of your door to identify the particular lock system in place. 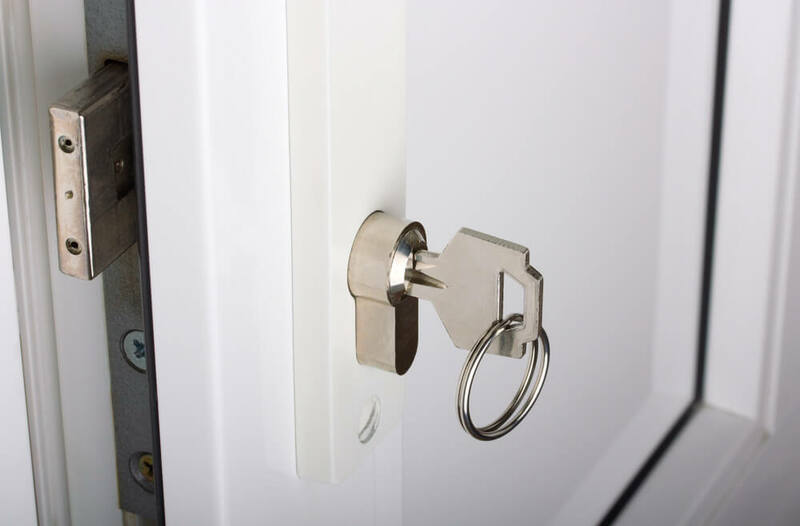 For a uPVC door lock change, the majority of times the locksmith will only need to change the Euro-cylinder that often comes as standard on this style of door. In a case of uPVC door lock installation, the process is slightly more complicated. We have the necessary expertise to provide you with a replacement door lock efficiently and effectively. Is Your New Home Protected? If you have just moved into a new property then it is very wise to change your front door lock. Without knowing, a set of keys could still be with past neighbours or family. 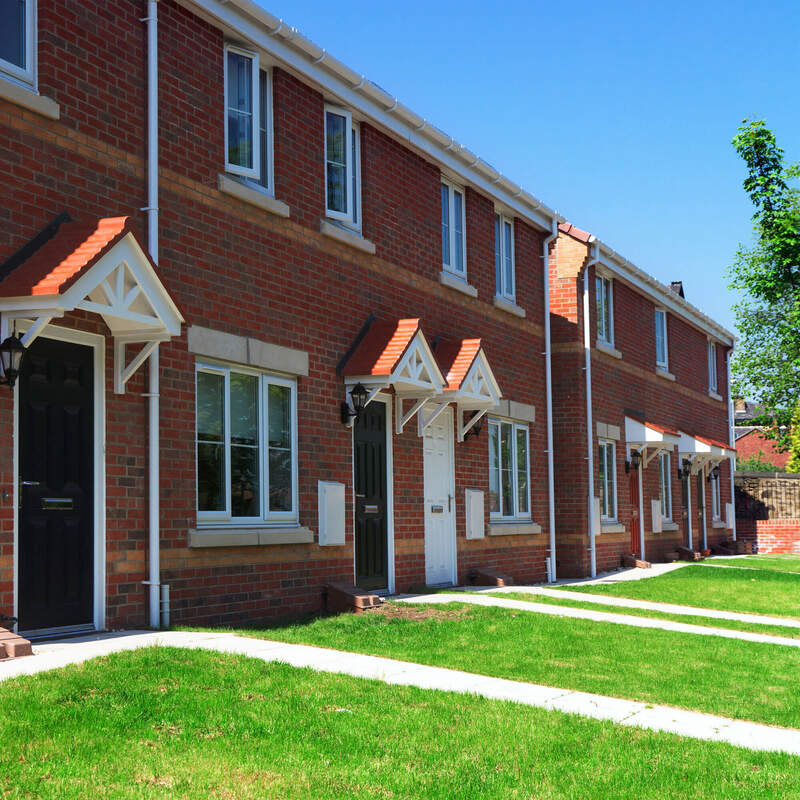 It’s important to not take the risk and instead secure your new home to your requirements. “It is surprising how many people move into a new home and don’t change the door locks. I have been a locksmith for over 20 years and have been to numerous robberies when the burglar enters the property with a key rather than breaking and entering. On one occasion, a customer was having a shower when she heard the door bell ring but did not answer the door. When she came out there was a man in her property who entered with a key. The most common cylinders we stock are the 5 and 6 pin cylinders however, we also fit 3* Euro cylinders which are anti-drill, anti-snap, anti-bump, anti-screw and carry the British Kitemark and British Standard accreditations. It is recommended that all external doors are fitted with five lever mortice deadlocks (British Standard BS3621:2004). In fact, many insurance companies require this as standard which is why at Hampshire Locksmith we also offer the fitting of 5 lever deadlocks for additional security. Mortice locks are embedded into the door and can only be opened with a key. They are mostly fitted on back doors but are often fitted to front doors in addition to a cylinder rim lock. One of the main benefits of a mortice lock is that intruders cannot break into an adjacent window and unlock the door. All mortice locks require a key to activate the deadlock. These locks come available in several lever variations but the higher the number of levers, the more secure the lock will be. We offer a comprehensive range of Yale Mortice Locks, including British Standard 5 lever locks for maximum security. Yale locks are force resistant, anti-drill, anti-pick and have anti-saw security features. They are also available in a Satin Chrome and Polished Brass finish. We provide a wide range of door locksmith services in Hampshire. From lockouts, to emergency repair and replacements, we have you covered. 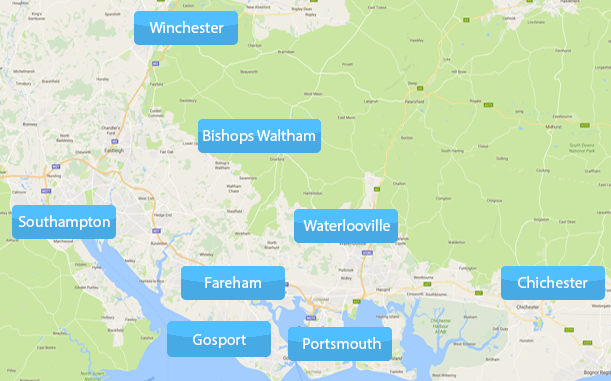 We cover: Fareham, Winchester, Southampton, Eastleigh, Gosport, Havant, Bognor Regis, Waterlooville, Hedge End, Petersfield, Portsmouth, Chichester, Hayling Island, Emsworth, Whiteley, Bishops Waltham and the surrounding areas. Low rates and no call out fees, at Hampshire Locksmith we have a fixed price promise. Contact us today on: 07525 343 655 or get in touch using our online enquiry form.